John from Australia sent us a heads-up regarding the new JackAss movie, which we reported about earlier. The Sunday Morning Herald posted a review of the film, and was the first to show some snapshots of the wingsuit (what looks to be a V2) used in the Jet sequence. 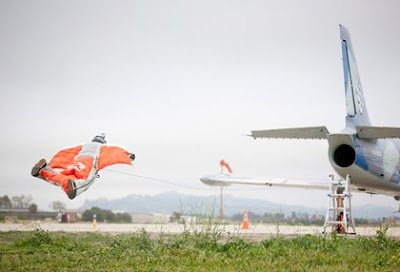 Check out this new 'first' in wingsuit flying. OMG that looks scary as hell... can't wait to see the footage.